Actilite is a light viscose net dressing coated with antibacterial Manuka honey & Manuka oil. The dressing is designed to protect the wound, promote healing and allow the passage of exudate. The antibacterial effect of Actilite has been enhanced by combining high grade antibacterial Manuka oil with Manuka honey. The combination of Manuka honey and Manuka oil has been demonstrated in-vitro to be effective against a number of major wound infecting organisms including MRSA, VRE and Providentia stuartii. Not sure which honey dressing you need? Please click the button to view our dressing guide selector. Remove from the outer packet, remove clear films and apply to the wound either side up. Apply a secondary dressing of choice, this can be an absorbent dressing or semi-permeable film dressing depending on the nature of the wound. We recommend Eclypse Adherent or Advazorb Border. Actilite can be used as a primary layer to reduce bacterial burden. Store at room temperature. Due to the nature of honey, it can solidify at cold temperatures & become liquidized at warm temperatures. If the product has hardened, warm between hands to soften before use. If the product has become too liquidized, place in a colder place such as a fridge for a few minutes. Do honey dressings reduce the need for antibiotics? Is Honey the Bees’ Knees? Honey as a topical antibacterial agent for treatment of infected wounds. 1. Can Activon honey be used under compression bandaging? The Activon range can be used under compression bandaging. The amount of exudate would influence your choice of Algivon, Activon Tulle or Actilite with an appropriate absorbent secondary dressing such as Eclypse. As compression bandaging is ideally designed to be left in place for a full week Algivon may be appropriate due to the fact that, in the presence of exudate, the alginate fibres swell, forming a sodium-calcium gel on their surface which combines with the honey. The resulting honey-gel complex prolongs the retention of honey at the wound site, increasing effectiveness. The secondary dressing must be appropriate to the exudate level and will influence wear time. 2. Can Activon Tulle or Algivon be folded and put into a cavity? Both dressings could be put into a cavity wound, again dependant on exudate levels. If there is a possibility of sinus within the wound base then Activon Tube should be used to ensure that the honey reaches the entire wound bed. 3. Can the Activon Tulle be unfolded to apply? Activon Tulle can be unfolded and applied, however this will reduce the level of honey at the wound bed. The triple layer of the gauze delivers the optimum amount of honey to the wound bed therefore unfolding the dressing would affect efficacy. 4. Can your Manuka honey dressings be used on diabetic patients? While there is no known case of honey influencing blood glucose levels adversely, it is recommended that the blood sugar levels of patients with diabetes are monitored when using honey. 5. Does the honey sting on application? There have been reports of honey causing a stinging pain when applied to the wound. This appears to be due to the acidity of honey, as pain is not experienced when neutralised honey is used. The pain experienced does not seem to be indicative of damage being done to the wound, as wounds have healed rapidly in cases where patients have endured the pain to benefit from the stimulation of healing that they see, and in cases where analgesia has been used. There is evidence that honey stimulates nocioceptors (Al-Swayeh and Ali, 1998), nerve endings that create a pain sensation in response to heat, acidity and some organic chemicals. It may be that it is not a direct effect of the acidity of honey, as neutralising honey could affect the ionisation of some of its components and make them unable to fit in the nocioceptors. It is possible that in some patients these nerve endings are sensitised and are more responsive to the acidity and/or the component organic chemicals of honey. 6. How do you know whether to use Algivon or Activon Tulle? This would be dependant on the grade of wound and the level of exudate. In a heavily exuding or necrotic wound your choice would be Algivon however if the wound is producing moderate exudate then Activon Tulle would be the dressing of choice. 7. How long can the honey dressings be left on the wound for? The dressings can be left in place for up to seven days, again this would depend on the exudate levels produced by the wound and the appearance of the dressing. As long as the dressing has maintained it’s original colour (the honey is present) it can remain in situ. 8. 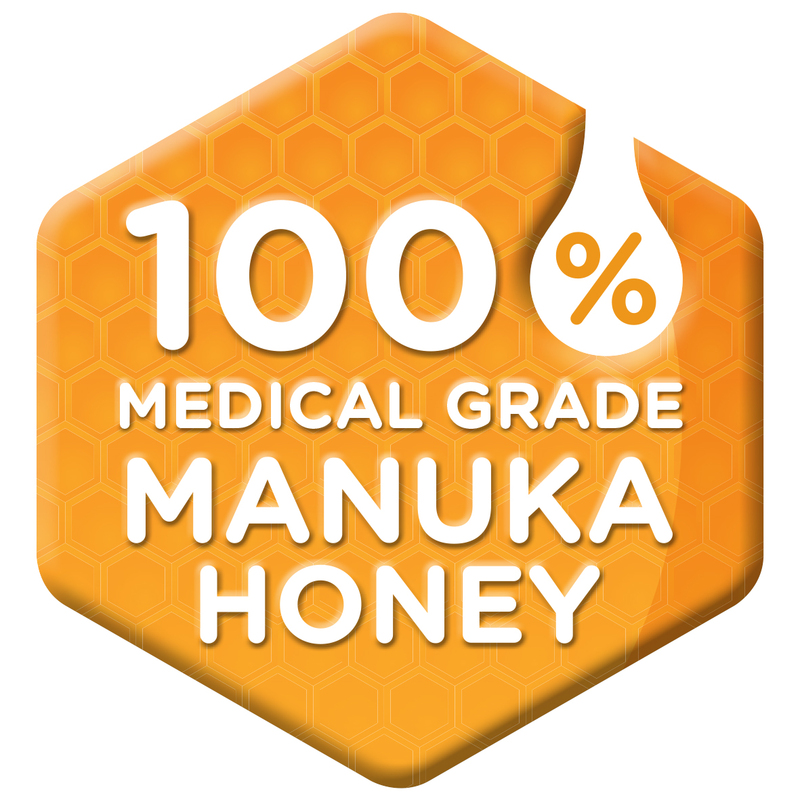 What are the contra indications for your Manuka honey? Known allergy to bee-venom. Although no known instance of increased levels of blood sugar in patients with diabetes. It is advisable to closely monitor the levels. Increased pain may be experienced due to acidification.